With so many businesses currently selling online, consumers are often unsure of which businesses they can trust. 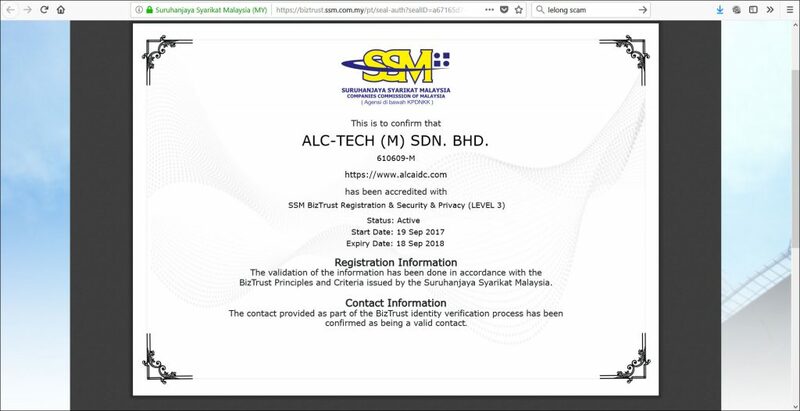 To solve this problem, Suruhanjaya Syarikat Malaysia (SSM) introduced BizTrust, a standard certification and seal that online businesses can apply for and use as a proof of ethical and transparent business practices. The seal can be displayed on a merchant’s website, and comes in three levels of accreditation. It’s a telling sign of our times that almost anyone can be an entrepreneur. The internet along with all its advancements have made it so that anyone with something to sell can do so at the click of a button. As a result, there are now thousands of online merchants who are striving to gain the attention of consumers, with each one promising to provide the best e-commerce experience. But along with this also comes the very real risk of unethical practices on the side of business owners, putting many consumers at unease. And a 2016 survey found that Malaysians are very vulnerable to internet scams—46% of the respondents had been victims of online scams. 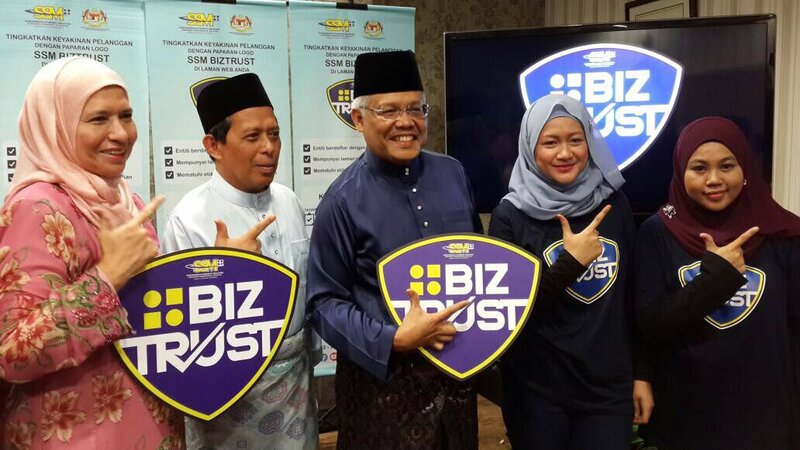 This is why customers looking to make purchases online should look out for the BizTrust seal of approval by Suruhanjaya Syarikat Malaysia (SSM). The seal was launched in July last year by SSM with the intention of providing online businesses a proof of business authenticity that they can display to potential clients and in turn, gain their confidence. “We want consumers and business operators to run their businesses smoothly. By registering with SSM, the company helps to build trust among its consumers,” said SSM CEO Datuk Zahrah Abdul Wahab Fenner at the BizTrust soft launch last year. The seal is displayable on merchant websites and is basically a mark that guarantees the business to be complaint with the guidelines stipulated by BizTrust, namely transparent and fair pricing, safeguarding of consumer privacy, and strict levels of security. 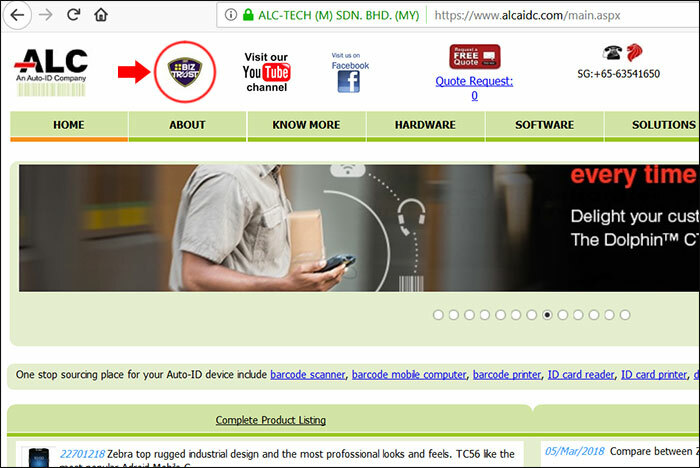 This seal can be applied for by merchants who sell on platforms such as Lazada, Shopee, or Lelong, as well as those who sell through their own websites. Businesses can apply for the BizTrust certification through the SSM website in three different levels, each requiring increasing levels of secure practices on the part of the business owner. The first level requires businesses to adhere to the basic pillars and guidelines set in place by BizTrust, and will cost businesses RM200 per year. The second level requires businesses assimilate the guidelines stipulated in the first level AND adopt either the BizTrust Security Pillar (having safeguards in place to protect the physical and logical security of their business platform) or the BizTrust Privacy Pillar (committing to the privacy of consumer information). This level will cost businesses RM1,500 annually. The third level requires that businesses adopt all of the guidelines available, and is the costliest at RM2,500 per year. Businesses who apply must clearly state the terms and conditions of sales, have measures in place to resolve any issues with customers, and provide monitoring for BizTrust compliance. Having ticked all the boxes, businesses will then be provided with the BizTrust seal that they can display on their website or pin on their social media page. An example of an online business with the BizTrust seal. Clicking on this seal will lead consumers to a certificate of authenticity that is unique to the business. Clicking on authentic BizTrust seal will lead to a certificate provided by SSM. With this in place, online businesses now have another way to build repute and trust among consumers, and similarly, consumers now have a way to tell if they can place their faith in a business and be assured of a safe online shopping experience. Hopefully we’ll see less cases of e-commerce fraud and unethical practices on our news feeds. For more information on BizTrust, head on over to the official website.